Since it became independent in 1989, Moldova's population has dropped by about one quarter, due mostly to mass emigration, according to a report by Randy McDonald on demography.matters.blog. Why might this concern anyone outside Moldova? "Gatsby is dishonest," he cried out, his voice now shrill. "He earns his money by illegal means and tries to buy the love of a married woman. This book is supposed to be about the American dream, but what sort of dream is this? Does the author mean to suggest that we should all be adulterers and bandits? Americans are decadent and in decline because this is their dream. They are going down! This is the last hiccup of a dead culture!" he concluded triumphantly. While moderation in religion may seem a reasonable position to stake out, in light of all that we have (and have not) learned about the universe, it offers no bulwark against religious extremism and religious violence. From the perspective of those seeking to live by the letter of the texts, the religious moderate is nothing more than a failed fundamentalist. He is, in all likelihood, going to wind up in hell with the rest of the unbelievers. The problem that religious moderation poses for all of us is that it does not permit anything very critical to be said about religious literalism. We cannot say that fundamentalists are crazy, because they are merely practicing their freedom of belief; we cannot even say that they are mistaken in religious terms, because their knowledge of scripture is generally unrivaled. All we can say, as religious moderates, is that we don't like the personal and social costs that a full embrace of scripture imposes on us. This is not a new form of faith, or even a new species of scriptural exegesis; it is simply a capitulation to a variety of all-too-human interests that have nothing, in principle, to do with God. Religious moderation is the product of secular knowledge and scriptural ignorance—and it has no bona fides, in religious terms, to put it on a par with fundamentalism. The texts themselves are unequivocal: they are perfect in all their parts. By their light, religious moderation appears to be nothing more than an unwillingness to fully submit to God's law. By failing to live by the letter of the texts, while tolerating the irrationality of those who do, religious moderates betray faith and reason equally. Unless the core dogmas of faith are called into question—i.e., that we know there is a God, and that we know that he wants from us—religious moderation will do nothing to lead us out of the wilderness. SOURCE: The End of Faith: Religion, Terror, and the Future of Reason, by Sam Harris (Free Press, 2005), pp. 20-21. The beginning of of chapter 1, Reason in Exile, is available online. Religion was a particularly thorny issue that Ieyasu's two military predecessors, Nobunaga and Hideyoshi, had already begun to address. Collectively the policies of the three successive generalissimos led to the following situation. First, the upstart religion from the West, Christianity, was banned. The small numbers of Christians who refused to renounce their faith had to go underground. The squelching of the Christian movement in Japan was the precursor of closing Japan off from almost all contact with the outside world. This policy was initiated in 1639 and officially continued through 1854. Second, the Tendai Buddhist main temple on Kyoto's Mount Hiei had grown to be the most powerful religious institution in Japan. In 1571 Nobunaga burned down the complex, destroying its three thousand buildings and its army of ten thousand warrior monks. Third, the most populist Buddhist religion of the time, the Shin Buddhist Honganji sect, had assembled a huge peasant army of its own that Nobunaga defeated in 1580. The sect then underwent a schism in 1603, breaking into Eastern and Western Honganji, thereby dividing the unity of this Buddhist group. And fourth, under Ieyasu the shogunate began to monitor the philosophical-religious schools of scholars, hoping to maintain at least some control over new developments and ideologies. Accompanying these four political events were intellectual circumstances equally important to the future of Shinto. The key factors of intellectual change came to a head in the late sixteenth century when something philosophically new took hold in Japan. Throughout Japanese history there had been periods when Japanese groups (mainly religious or diplomatic) made the dangerous journey across the stormy Sea of Japan to the mainland, bringing back home cultural innovations and artifacts. In the fifteenth and sixteenth centuries especially, groups of Japanese Buddhist monks, mainly from the Zen tradition, went to the mainland to study. When they returned, they brought with them not only further materials related to Buddhism but also books from other philosophical traditions popular in China at the time. For our present concerns, the most significant items in their cargo were works of Chinese Neo-Confucianism. Although Zen Buddhist monastic scholars were studying the texts and introducing them to Japan, the books contained a philosophical system that would ultimately undermine the intellectual hegemony of Buddhism in the country. Neo-Confucianism was a sophisticated syncretistic philosophical movement in China that enriched traditional Confucian teachings with ideas from Buddhism and Daoism. By incorporating key ideas from these traditions into its own, Neo-Confucianism had disarmed the most powerful Buddhist and Daoist criticisms against Confucianism. As a result, from about the twelfth century up to the early twentieth century, Neo-Confucian philosophy (in various forms) generally dominated the Chinese intellectual scene. These Neo-Confucian arguments against Buddhism entered Japan just before Tokugawa stability and peace brought rapid urbanization. The growth of city life supported schools of learning outside the traditional Buddhist temple complexes that had trained monk-scholars. The samurai (who needed job retraining to find a useful place in the peacetime society of the Tokugawa bureaucracy) and the aspiring merchant class (who needed to acquire culture fast) frequented such urban schools. Furthermore, the increasingly literate urbanites created a demand for widely distributed, printed publications. By the late seventeenth century, literary culture, including philosophy, was thriving in the cities. Sunday's Japan Times carries an exclusive profile by David McNeill of Imelda Marcos, who seems to have changed very little since she and her husband were ousted from power twenty years ago. By the time the brilliant ex-lawyer and his beauty-queen wife boarded a U.S. helicopter on Feb. 25, 1986, they had become synonymous with the corruption and cronyism that made the Philippines one of the poorest nations on the planet. To his eternal credit, Marcos ordered his army not to fire on Manila crowds before he left, but then he expected to be back within days. Instead, he was to die in Hawaii three years later, leaving Imelda to carry on the Marcos legacy. Today, astonishingly, Imelda is back in Manila and again a force in Philippine politics. Many believe the beautiful young country girl who caught the eye of the ambitious Marcos and helped him win a million votes in 1965 was the real power behind the throne by the end of their reign, when Ferdinand was desperately ill. Her political survival "makes a mockery" of the 1986 revolution, according to one of her biographers. When Ferdinand died in 1989, aged 72, Imelda had to fight U.S. federal grand jury charges alone: principally that the couple stole over $200 million from the Philippine treasury and spent it on a real-estate spree in New York. After enjoying the backing of five U.S. presidents, and the close friendship of Ronald and Nancy Reagan (with whom she shared an interest in astrology), the shock of America turning on her was profound. "They did this to me when I was alone, widowed and orphaned," she says, on the verge of tears. "Even the Bible says there are special places reserved in hell for those who persecute widows and orphans. And it was not individuals who did me in, it was governments and superpowers." Though acquitted, few expected Imelda to survive the humiliation of being ditched by the White House, lampooned in the media and chased across the world by prosecutors who accused the pair of plundering the Philippines of $ 10 billion or more. But showing the irrepressible energy and brazenness that made her a legendary force in Philippine politics, Imelda bounced back, returned to Manila in 1992 and won a senator's seat in 1995 after a failed bid for the presidency. It is not difficult at times like this to imagine the young, naive, fun-loving Visayas beauty dazzled by the ambitious senator Ferdinand Marcos and the jet-set life he promised; much harder to put this tearful, almost childish woman together with the picture painted of her in many biographies. Did she really offer her archrival Benigno Aquino $1 million to stay in U.S. exile, then order his 1983 assassination in broad daylight and in front of the world's press when he returned? Would the money she and her husband embezzled really, as many say, pay off the Philippines foreign debt? And the biggest mystery of all: why have the people who threw her out accepted her back? "Some people look at the chaos now and think things were probably better then under Marcos," says taxi driver Mike Avila. "He was strong and kept people in line. Things don't seem to have improved much since they left." An interesting profile, despite the always irritating deus ex imagina taxi-driver quote at the end. Esotericism was central to both Buddhist traditions ascendant in the Heian period (794–1185): Shingon and Tendai. Shingon is an exclusively esoteric school founded in Japan by Kukai (774–835) whereas Tendai, founded in Japan by Saicho (766–835), includes esotericism as part of its grand synthesis of many Buddhist perspectives. Although several Buddhist schools had entered Japan by the end of the Nara period, for the most part none had developed into fully independent, religious establishments in their own right. That is: Shingon and Tendai were the first to flourish and develop as distinctively Japanese independent schools. Furthermore, both schools developed forms of Buddhist-Shinto synthesis. Both Shingon and Tendai arose about the time the capital moved from Nara to Kyoto (called "Heian" at the time). Their success was due in part to the fact that Buddhist esotericism shares central assumptions with early Japanese spirituality. With its centuries of doctrinal and practical development on the mainland, esoteric Buddhism was uniquely positioned to give early Shinto spirituality a full-blown philosophical justification, albeit admittedly a justification in Buddhist garb. Let us consider three points where the worldviews of ancient Shinto and esoteric Buddhism intersected—areas of similarity on which Shingon and Tendai Buddhism were able to capitalize. Not surprisingly, then, with syncretism as the norm, the term "Shinto" had no popular use in Japan until the development of state ideology in the middle of the nineteenth century. In that era, an essentialist Shinto spirituality was on the rise and the agenda was to separate "real" Shinto from its Buddhist "distortions." Because of Buddhist-Shinto syncretism, however, it seems that for a thousand years of Japanese history most people did not ordinarily find it useful to distinguish "Shinto" from "Buddhist." These people did all along refer to kami, of course, but they knew that on some level (perhaps understood only by intellectuals) kami were just alternative forms of buddhas. In early April 1937, not long after the second wave of show trials, Lev wrote a striking letter to Aunt Olya [Knipper-Chekhova]. 'My life has become a lot more complicated, confused, and harder than it was before, when I still had many illusions of youth, self-importance, young unspent strength and boiling energy which covered up for everything else. And now the time has come to pay the bills. And it's turned out that I've accumulated next to no interest on my capital, and that I will have to pay from the reserve. He went on to reject 'absolute' human values, dismissing them as 'intelligentsia ethics'. Lev had imbibed the essential ruthlessness of Leninism. 'More than anything else, I can't stand people who use "intelligentsia principles" and "humanity" to justify a general, deeply anti-Soviet behaviour. The Asahi Shimbun carried a story on 19 April about a model Japanese business entrepreneur in Cambodia. SIEM REAP, Cambodia--Two years ago, a savvy Japanese tour guide saw her chance to fill a business niche here. Sachiko Kojima opened a cookie factory. She was soon supplying foreign tourists from Japan and around the globe with souvenir confections from this northern Cambodia city, the gateway to the Angkor Wat Khmer ruins. Her "Madam Sachiko" cookies, shaped like the ancient ruins, are now the must-buy souvenir for tourists visiting the city. In the shop and bakery, Kojima follows a Japanese business style. The shop's interior is attractive and inviting. The factory is clean and sanitary. Her employees follow rules similar to workers in Japan: No sitting down and no eating or drinking while on duty in the shop. Foreigners in Cambodia rarely start businesses outside of travel agencies and restaurants. Kojima had the choice of starting up as a non-governmental organization (NGO), which would have received tax breaks and other advantages. However, she was determined to form a privately owned, for-profit company. "I think the people here need to see examples of basic business ideas, such as how to make a profit and how to pay taxes," she said. Australian troops are heading back to the Solomon Islands to quell another outbreak of violence after the latest elections, the BBC reports. Some 180 Australian soldiers and police have begun arriving in the country to try to impose order after a written request from the Solomons government. A smaller contingent of additional New Zealand peacekeepers are set to arrive on Thursday. But the BBC's Phil Mercer says there are concerns that the presence of more foreign troops could inflame the situation in the troubled city. About 280 Australian police were already in the country as part of a regional force sent to restore peace in 2003, after violence stirred up by local warlords left hundreds dead and 20,000 displaced. Wednesday's rioting came after newly-elected MPs met in secret to elect a new prime minister. Mr Rini, 56, beat off two main rivals in Tuesday's secret ballot for the leadership - former Prime Minister Manasseh Sogavare and Job Dudley Tausinga, leader of the new Rural Advancement Party. He is accused of being too closely linked to former Prime Minister Allan Kemakeza's administration, which was tainted by corruption allegations. As usual, the Head Heeb is already on the case. BBC News reports on yet another long-lost Japanese soldier finding his way back to Japan. A Japanese ex-soldier who disappeared after World War II and was officially declared dead in 2000 has turned up alive in Ukraine. Ishinosuke Uwano [上野石之助] was serving with the Japanese Imperial Army in Russia's Sakhalin Island when the war ended. He was last reported seen there in 1958. The 83-year-old has now reappeared, in Ukraine, where he is married and has a family, Japanese officials say. Mr Uwano is due to visit Japan for the first time in six decades on Wednesday. He is expected to visit his surviving family members and friends in Iwate, 290 miles (467　km) northeast of Tokyo, with his son before returning to Ukraine on 28 April, the AFP news agency reported. The family's last reported sighting of him was on Sakhalin in 1958; after that they lost all contact with him. 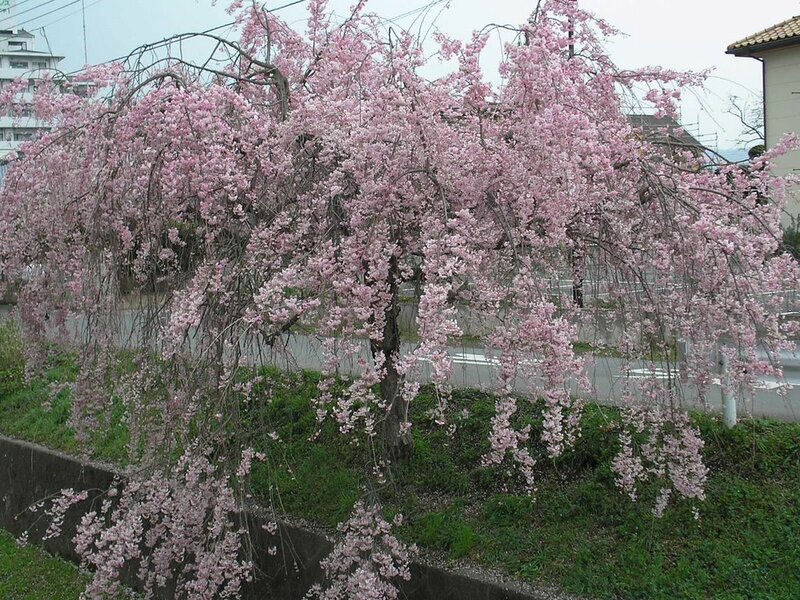 He'll arrive in Iwate just in time to see the cherry blossoms he has expressed a desire to see. Uwano has pretty much forgotten his Japanese, but speaks Russian quite fluently, it seems. Vova must have been frightened, bearing a German name [Knipper] at this moment of pitiless struggle [as the Wehrmacht closed in on Moscow]. Daily bulletins from Informburo were attached to trees and walls. On one of them he was shaken to see an excerpt from a letter taken off the body of a German soldier called Hans Knipper. And a schoolfriend of his, a Volga German about to be transported to Siberia, came to see them in despair. Vova's father, Vladimir, advised him to volunteer for the army to save himself from an exile of forced labour which would be as bad as the Gulag, but Vova's friend replied that the description 'German' was stamped on his papers and they would not accept him in the army. Those of German origin were implicitly categorized as potential enemies of the state. The NKVD had not wasted time assembling records on every Soviet citizen of German descent, some 1.5 million people. Local NKVD departments 'from Leningrad to the Far East' began a programme of arrests immediately after the Wehrmacht invasion. Yet no member of the Knipper family was touched [presumably because Vova's cousin Lev Knipper worked for the NKVD]. Lev's first cousin Vova Knipper had a friend who was a barber in the proezd Serova near the Lubyanka [during the Soviet Great Terror of the 1930s]. Most of his clients were NKVD officers. When the barber's shop opened at eight in the morning, NKVD interrogators, in a nervous state with heavy stubble, turned up in either military uniform or civilian clothes. They wanted a shave and a face massage to freshen up after a hard night's work beating confessions out of their prisoners. They asked for bloodstains to be daubed from their tunics and trousers with eau-de-Cologne. Some were so exhausted that they would fall asleep in the chair, and the barber found it hard to wake them up afterwards. But those who stayed awake talked compulsively about their work. The hairdresser warned Vova about the need to keep his mouth shut at all times. 'We're in a trap,' he warned. Before spending time in Ashikaga, I had not been aware how widespread in Japan were the mound tombs known as 古墳 kofun lit. 'ancient grave'. When we walked over to Ashikaga Park to see the cherry blossoms there two weeks ago, we found that the hillside park includes 12 kofun, two of which have small, blocked-off, stone passageways facing east. (You would enter facing west.) 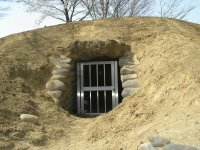 I had always associated kofun with western Japan, where the largest imperial tombs were built, but an article on the Kofun Period (A.D. 300–700) by Sophia University archaeology professor Charles T. Keally set me straight. The first excavation of a mound tomb in Japan was conducted my Mito (Tokugawa) Mitsukuni in 1692, the 5th year of the Genroku era. Mitsukuni (1628-1701) was the grandson of Tokugawa Ieyasu, founder of the Tokugawa Shogunate. The tomb he excavated is called the Samuraizuka Kofun, located in Ohtawara City, Tochigi Prefecture, just north of Tokyo. This excavation is considered the first academic, or scientific, excavation conducted in Japan. Ashikaga has always struck me as a city of Old Money, but I never thought it went back quite that far. うどの大木 udo no taiboku 'all hat, no cattle' - We tried out a new restaurant in Ashikaga the other night, after a long circuit to view the many lovely shidare-zakura 'weeping cherry trees' that line a long, curving, landscaped ditch that borders the city's huge civic center athletic complex. The seafood restaurant Yanagi-ya [柳屋 'willow shop'] turned out to be a haven for Hanshin Tiger and sumo fans in the area. It caught my eye last month when it advertised the sumo wrestler's special chanko nabe on the first day of the Osaka Grand Sumo Tournament. Unfortunately, the chanko nabe season is over now that the weather has started to get warmer, but the various dishes we ordered were all nicely presented, and tasty to boot. Each glass of sake had the name of a sumo wrestler on it. At one point, the waitress brought over a complimentary dish of tempura vegetables that looked like celery tops, but tasted less bitter than celery, more like asparagus. She identified it as うど, which my electronic dictionary identified only as 'an udo (a plant of the ginseng family cultivated for its edible shoots)'. The University of Virginia Library's Japanese Haiku Topical Dictionary page for spring plants is more helpful. 独活 【うど】 udo, udo [a wild asparagus-like plant, Aralia cordata, sometimes cultivated and noted for its edible young shoots] (late spring). The Anime Companion Supplement U offers a different context. udo うど or 独活 Aralia cordata. The leaves and stalks of this plant are eaten either raw or cooked. The flavor is similar to asparagus. The cultivated type is grown in the dark to blanch it. Wild udo is used in sansai ryôri (mountain vegetable cooking), as the flavor is stronger it must be blanched before it is used in dishes. Wikipedia includes udo in its surprisingly long list of English words of Japanese origin, defining it as 'an edible plant found on the slopes of wooded embankments, also known as the Japanese Spikenard'. Despite its size, it is not a woody plant, as demonstrated in the popular saying Udo no taiboku (独活の大木), literally "great wood of udo", meaning roughly useless as udo has a very soft stem. Many commentators associate the Japanese emphasis on naturalness and simplicity with Zen Buddhism rather than Shinto. In such books as Zen and Japanese Culture, D. T. Suzuki popularized this view in Japan as well as in the West. Suzuki was correct to point out that many arts associated with Japan have a close association with Zen Buddhism, especially through the tea ceremony and all its accoutrements including ikebana, calligraphy, poetry, gardens, and pottery. Suzuki accurately portrayed Zen's historical significance in the development and institutionalization of these arts. At times, though, he seemed to imply more—namely, that Zen Buddhism introduced the aesthetic of simplicity and naturalness to Japan. This claim, if he indeed meant to make it, is wrong. Simplicity and naturalness were part of Japanese culture and represented in Shinto practices centuries before Zen's emergence in the thirteenth century. The kind of grand simplicity found in many Shinto shrines such as that of the sun kami at Ise is an obvious example. Zen prospered through its connection with the Japanese arts, not so much because it was introducing something totally new to the culture, but because it resonated with something old. The so-called Zen simplicity in many drinking bowls used in the tea ceremony, for example, can also be seen as far back as some of the unglazed pottery of the Yayoi period, a millennium before Japanese Zen developed and tea plants were cultivated in Japan. One can argue, therefore, that the Zen aesthetic was similarly a return to a simplicity predating the Heian court's aesthetic of elegance. This aesthetic of courtly elegance predominated among the aristocrats of the Heian period (794–1185) and reflected the high arts from China, including those from esoteric Buddhism, rather than Shinto. The power of the nobles had waned, however, by the time Zen blossomed in Japan. Zen melded the Kamakura period's (1185–1333) tendency to go back to the ideals of a simpler, less refined, sometimes even rustic, lifestyle. This aesthetic fit the military mentality of the new political leaders, many of whom had come from the outlands distant from the cultural capital of Kyoto [like Ashikaga]. By this process, Zen values and practices became the center of aesthetic development in the thirteenth through sixteenth centuries [during the Ashikaga shogunate]. This period [the early 1920s] was one of intense secret operations abroad mounted by INO (Inostrannyi Otdel), the Foreign Intelligence Department of the OGPU. Even after the destruction of the White armies, Lenin was determined to pursue counter-revolution abroad. In December 1920, Feliks Dzerzhinsky, the founder of the Cheka, had begun to organize operations against émigré groups in France and Germany. Berlin alone contained 200,000 White Russian refugees. Relatives of prominent émigrés were seized as hostages at home and agents were rapidly recruited for operations abroad to infiltrate émigré organizations and arrange the kidnapping of their leaders. A sophisticated development was to create fake White Guard organizations within Russia to trap the regime's enemies. These activities were given the highest priority. For the first dozen years of its life, INO's 'main foreign target remained the White Guard movement'. The Russian émigré community in Berlin was more like a colony, largely because it was so concentrated on the western centre of the city. Berliners jokingly called the Kurfürstendamm the Nöpski Prospekt', and Charlottenburg was known as 'Charlottengrad'. Writers including Vladimir Nabokov, Ilya Ehrenburg and Boris Pasternak treated the cafés of the area, such as the Prager Diele, in the same way as French existentialists later used the cafés of Saint-Germain. There were around 200 Russian-language newspapers, magazines and journals in Berlin, a number of publishing houses and even a Russian high school. But this already precarious community was to be devastated and scattered within a decade by the economic crisis and unemployment triggered by the Wall Street Crash. From ancient times, the Japanese (indeed East Asians generally) had not missed the point that many of what we call "religious traditions" of East Asia were alike in some fundamental way. In general, the Japanese grouped together the Asian spiritual traditions by giving them names (usually borrowed from Chinese) sharing one of two suffixes: kyō ([教] broadly meaning "teachings") or dō ([道] broadly meaning "path," "way," or "course"). The convention was to precede this suffix with the name of the spiritual inspiration behind the tradition. Thus jukyō indicated Confucianism ([儒教] "Confucian scholar" plus kyō), butsudō or (later) bukkyō indicated Buddhism ([仏道/仏教] Buddha" plus dō or kyō), and dōkyō indicated Daoism ([道教] "dao" plus kyō). The name "Shinto" itself consists of the character for kami ([神] in such compounds pronounced shin) and dō ([道] in this case mutated into tō). In referring to Christianity today in Japan, the common term is kirisutokyō ([キリスト教] "Christ" plus kyō). As we see in the two terms for Buddhism (butsudō and bukkyō), the suffixes dō and kyō may be interchangeable. There is, however, a difference in their etymologies: dō has the nuance of praxis and kyō of doctrines. Hence the Japanese arts as well as religions may have the suffix dō: budō ([武道] "way of the warrior" or martial arts), chadō ([茶道] "way of tea" or tea ceremony), shodō ([書道] "way of writing" or calligraphy). In self-consciously creating a word to translate the Western term "religion," this difference in nuance between kyō and dō is relevant. The use kyō in shukyō suggests a Japanese impression that the concept of "religion" is more about doctrine or creed than practice. What about the first part of the word, the shū of shūkyō [宗教]? The term shū suggests a discrete religious community with common practices and teachings. In fact, the term shūkyō was not truly a neologism. There was a rather arcane Buddhist use of the term to mean specifically the doctrines of any particular Buddhist sect or school. Given this etymological context, to inquire in Japanese whether someone is "religious" (shūkyōteki) may seem a little like asking them if they are "sectarian" or "dogmatic." In choosing such a word to designate "religion," the scholars who created the neologism might have been thinking of the evangelical and exclusivist aspects of the Western religions they had encountered (especially through Christian missionaries). This exclusivity in Japanese Christianity continues today, incidentally: the large majority of the 1 percent of Japanese who designate "Christian" as their religious affiliation do not, unlike many of their Buddhist or Shinto compatriots, also select another tradition. NOTE: Some quotes around italics eliminated. Kanji characters added. Last night, I was watching the only Pro Baseball game in Japan that wasn't rained out. My old underdog favorite Hiroshima Carp lost to the newly revitalized Yomiuri Giants and their superb, three-hit shutout pitching of Jeremy Powell. I was shocked to see that the super-traditional Carp had a foreign manager, former Carp player Marty Brown. The funniest part of the game for me was watching Brown's translator while Brown was flashing signs to his outfield after the Giants broke the game open with a series of hits in the 7th inning. Brown's translator was repeating, sign for sign, what his manager was signing. That surely must be the easiest translation task one could ask for. It sounds like Brown has a much harder job, judging from a recent report by Jim Allen in the Daily Yomiuri. The club's spring training camp was like going to a living history museum, an homage to pro baseball's past. Other clubs go through pre-programmed drills in small groups until noon when individuals go off to work on specific skills, but Hiroshima's habit was old-school regimentation--working in groups from morning to late afternoon. Brown has instructed all the players to plan their own skill workouts--instead of simply following programs planned out by coaches--and to have a focus and rationale for their work. "Until now, the Carp have had very tough workouts. Just amazing," said Arai. "But Marty has said we'll finish group workouts earlier ... [and] with the time remaining, players should ... work individually on their weak points." This is nothing new in Japan. The Chunichi Dragons won the CL in 2002 after rookie manager Hiromitsu Ochiai told veteran players to plan their own spring routines. But for the tradition-bound Carp this was a radical departure. "Up to now, camp had the feeling of, 'Do this.' Now it is, 'Let's go.' That's really a significant difference," Arai said. Asked if players could confidently do their own thing after years of conformity, Arai insisted it was no problem. "Essentially, action must originate with a player. When coaches are telling you 'do it, do it,' it is about their expectations," Arai said. "But every action depends on the ability of the player, himself. "Marty said, 'You are professionals and I expect you to take responsibility.' To take responsibility and think for yourself, and turn that into action, that is part of being a professional ball player." The final downfall of the Romanov dynasty came on 3 March , with the renunciation of the throne by the Grand Duke Mikhail, who had been nominated to be the Tsar's successor.... The sudden collapse of the aristocracy took professional revolutionaries, such as Lenin and Trotsky, completely by surprise. They were exasperated to find themselves so far from the centre of events. But as things turned out, they had not missed their opportunity. The leaders of the Provisional Government, acting out of high-minded liberal naïvety in the case of Prince Lvov, and theatrical vanity in the case of his successor, Aleksandr Kerensky, proved easy to outmanoeuvre. The neck of the new freedom was exposed to the unscrupulous Leninists. Kerensky was a lawyer. He was small and his starting eyes and curved nose made him look like a very intelligent frog, yet with ringing rhetoric and bursts of emotional energy he could dominate huge crowds. (Olga Chekhova later observed that whenever she saw Dr Goebbels speak, she could not help thinking of Kerensky.) Kerensky managed to convince many highly educated people – Stanislavsky and Nemirovich-Danchenko among them – that he was a political genius, the Napoleon who would bring revolutionary excesses back under control and produce human justice. But historical parallels, especially in times of revolution and war, are often dangerously misleading. The balancing act which he had to undertake between reassuring the bourgeoisie and Russia's Western allies on one hand, while at the same time appeasing the impatience of workers and peasants to take over factories and farmland, would have undermined the credibility of even the greatest leader. Stanislavsky's family business, the Alekseiev factories, were seized by the workers, and his house, as he admitted to a friend, had been 'done over'. Respect for private property had collapsed with the elastic notion of 'revolutionary expropriation'. Stanislavsky now had nothing more than a salary from the Moscow Art Theatre. Yet his enthusiasm for this new world of freedom did not diminish. He was certain it would lead not only to a fairer world, but to a more beautiful one. On the other hand, he also admitted that he was politically illiterate. [The torii (鳥居)] does not demarcate something external into which I can simply tap. To function properly, the mysterious power beyond the torii must be in an internal relation with the person passing through it. If your mind is befuddled and clouded, if your heart is defiled and disingenuous, passage through the gateway will only return you to that. A symbol sacred to Shinto is the mirror. In fact, in many shrines, large and small, major and minor, the altar contains nothing other than a mirror. Along with the sword and comma-shaped jewel [magatama], the mirror is part of the official regalia of the emperor as chief priest of the tradition. A mirror's capacity to reflect depends on its cleanliness. Hence Shinto sites usually have a water trough for purification near the entrance. As people enter the heart of the shrine, they are expected to wash their hands and mouth, cleansing themselves of any pollution from physical or verbal misdeeds. Washing away dirt from the journey, they are ready to be a home in the kami-filled, tama-empowered shrine. Their hearts and minds are pure. Even the torii along the path on Mount Fuji serves a similar function. The torii reminds pilgrims to cleanse their inner self in preparation for approaching the peak. And then telling them where to find the toilets and vending machines. Theatres ... were much more tightly controlled [after the Russian Revolution]. The Moscow Art Theatre soon had to search for a repertoire more attuned to the new era, just as Stanislavsky and Nemirovich-Danchenko had to forget their enthusiasm for Kerensky, who had fled into exile following the Bolshevik coup in Petrograd. In fact the tall and distinguished Stanislavsky now strode down Moscow streets with his fur coat thrown wide open to show a large red bow, demonstrating his revolutionary loyalty. The actors and stage crew of the Moscow Art Theatre became state employees on pitiful salaries and answerable to People's Commissar for Enlightenment Anatoly Lunacharsky. Bolshevik agitprop groups brought factory workers into the much larger Solodovnikovsky Theatre, just across the road, where Stanislavsky and his colleagues performed as part of a programme, designated 'Proletkult', to bring culture to the factory floor. This organization, promoted so strongly by Lunacharsky, was designed through groups of actors, musicians and singers to create a cultural revolution for the working class, just as the encyclopédistes had produced one for the bourgeoisie of eighteenth-century France. Lenin, however, was privately scathing about such efforts, partly because his own tastes owed more to the ancien régime, but also because he knew perfectly well that this was not real proletarian culture. At best, it was simply an attempt to force-feed the masses on high-minded political correctness. At worst, it was an excuse for cultural nihilists, such as Futurists like Mayakovsky, to call for the destruction of all traditional art works as a shock tactic of cultural liberation. The Head Heeb has compiled a longish account on a fascinating topic, the Palestinian diaspora in Latin America, much of it dating from Ottoman times. Here's just the beginning. I've been doing some fascinating reading lately about the 600,000-strong Palestinian diaspora in Latin America. Their story is, in considerable part, the story of four countries. There are Palestinians throughout Latin America, but in most of the region they are a minority within a minority, overshadowed by the far larger Lebanese community. In four New World countries, it is the Palestinians who are the dominant presence within the Arab diaspora and who have left a cultural impression. The New World region most associated with Palestinians, however, is Central America. El Salvador and Honduras each have a Palestinian population of 100,000 to 200,000, constituting the overwhelming majority of the Arab diaspora in those countries. In Honduras, Palestinians make up as much as three percent of the population, which is the highest proportion in Latin America and possibly the highest in any non-Arab country. The Palestinians are prominent in the retail trade, the professions and politics, with both countries currently having ethnic Palestinian presidents. And these countries are joined, surprisingly enough, by Belize, where the Palestinian population consists of six extended families but includes the prime minister, the country's pre-eminent historian and much of the professional class. These success stories, though, are only the surface of what sets the Latin American Palestinians apart. One of the overwhelming impressions that comes through from studying these Palestinian communities is that the term "Palestinian diaspora" is something of a misnomer. It may be more accurate to say that there are two Palestinian diasporas, because the communities in Central and South America differ in age, religion and reasons for migration from their counterparts in the Arab world and Europe. The rest of the essay analyzes these differences. A new study reported in the Washington Post (6 April) drastically redefines the extent of the AIDS epidemic in Africa. In West Africa, Sierra Leone, just then emerging from a devastating civil war, was found to have a national prevalence rate of less than 1 percent -- compared with an estimated U.N. rate of 7 percent. "From a research point of view, they've done a pathetic job," said Paul Bennell, a British economist whose studies of the impact of AIDS on African school systems have shown mortality far below what UNAIDS had predicted. "They were not predisposed, let's put it that way, to weigh the counterevidence. They were looking to generate big bucks." Prevalence of male circumcision correlates with lower rates of AIDS. In the Himalayan foothills near the Solan beer factory [Burma's ex-prime minister] Sir Paw Tun, the last pre-war prime minister wrote the obituary of the old order in a long, rambling series of letters to [Burma's ex-governor] Dorman-Smith, part combative, part self-pitying. He wrote as an Arakanese who had imbibed some at least of Britain's imperial ideas and had tried to reconcile them with Buddhism and his deep sense of Arakanese and Buddhist Burmese identity. He recalled during his school days in a Christian convent he had read Samuel Smiles's essay on 'character'. He had prayed daily for his governor, his king and his country. 'My mother taught me to be absolutely loyal to the British crown', he wrote. But this was difficult when many British officials acted with arrogance and racial pride. It was natural for well-brought up Burmans to bow before superiors. But more than once he had 'straightened up from my bending posture to show that he [the British official] no longer deserved respect because he was bullying me'. Mortal man, he said, was liable to be blinded by greed, passion and ignorance. This was particularly true of the old British administration in Burma which knew little of the people or their religion. The British, of course, were not as corrupt as the Burmese ministers such as Ba Maw and U Saw. They were less tempted by money as such, but they still fell victim to 'other attractions – in some cases women, and in other cases, flattery, platitudes and kow-towing'. Paw Tun loathed British racism and arrogance, but he believed the Thakins were beneath contempt, merely low-class upstarts. What worried him was the way in which the Thakins and Japanese had rallied the monkhood and the faithful in his 'priest-ridden country'. He noted how the Japanese were giving liberal donations to the Shwedagon Pagoda and how their commanders had liberally fed the monks and taken part in Burmese religious ceremonies. Despairing of the British, because Dorman-Smith seemed intent on bringing back the new plebeian Buddhism of the Thakins, Paw Tun slowly came to see that he had no future. It was this that lay behind his increasingly erratic behaviour and protacted bouts of illness. One of the books I brought along to read while in Japan is Shinto: The Way Home, by Thomas P. Kasulis (U. Hawai‘i Press, 2004). The introduction is available online in PDF form. Here's how it begins. Westerners with some exposure to Shinto know it also as a religious tradition stressing sensitivity to nature, purification, and simplicity. Most foreign tourists to Japan have been impressed with the extraordinary serenity, restrained design, and natural beauty of many Shinto sites. Towering trees, white gravel grounds, carefully pruned shrubs, and beautiful flowers instill peace in many visitors, a peace arising not from an aesthetic flight from the world but from a heightened appreciation and outright enjoyment of it. Boisterous Japanese families with young children and old folks on pilgrimages suggest Shinto not only celebrates life but also brings celebration to life. I have heard many foreigners say they felt oddly at home in such environs. Some who have lived in Japan for some time have gone so far as to say that on many occasions they have “felt Shinto” themselves. Most people are aware of another dimension of Shinto as well: the Shinto of nationalism, imperial reverence, and ethnocentricity. It is the Shinto of kamikaze pilots and militarist fervor, the Shinto of a divine emperor leading a unique global mission for the Japanese nation and its people. It is the Shinto that dominated the international politics of the first half of the twentieth century. This book investigates how these aspects—the traditional festivals and rites, the celebration of nature and life, the nationalism and militarism—can coexist in the same religion. Is there perhaps something about the paradox in Shinto that can shed light on other religious traditions as well? Or, on the contrary, is the case of Japanese Shinto unique? In exploring such questions we will examine Shinto spirituality as both point of departure and ultimate destination. By framing the discussion in this way, we will find subtle links within the development of Shinto that we might otherwise overlook. There are two warnings, however, about the term “spirituality” as employed in this book. First, the term is not being used to emphasize personal over social or institutional religiosity. Second, the term does not necessarily imply something mystical or transcendent. Let us consider each point briefly. With respect to the first admonition, when some people hear the word “spirituality” rather than “religion” they think of a religious experience that is especially personal, individual, and outside “organized” religious institutions. Yet reflection shows that spirituality is seldom a strictly private affair. Felt as an inner resonance, spirituality is not an external phenomenon we can study simply by looking at it. Its character emerges only through the intimation of those who share their intimate experiences with us. The neophyte internalizes spirituality by doing what others do and talking how they talk. To express one’s own spirituality, one must first be impressed by the spirituality of others. Even the Buddhist or Christian hermit, alone in an isolated cave or cell, sits in the lotus position or kneels in prayer. The hermit did not invent these postures but learned them from someone else. Even in solitude, the hermit reflects a communal context. We must not overlook this vital communal dimension in even the most personal expressions of the spiritual. The other admonition is not to assume that “spirituality” always implies a belief in something transcendent or supernatural. People sometimes think that spirituality is inherently mystical, a withdrawal from everyday affairs. It need not be so. Whereas any religious tradition may include ecstatic departures from the ordinary, religious people frequently find the spiritual in the most quotidian of human experiences. Spirituality can be like our awareness of light: we might experience it as a blinding, all-encompassing flash or as the medium through which we see the configuration and coloration of our ordinary world. It is the difference between a flashbulb going off near our faces in a darkened room and our being engrossed in the luminescent nuances of an Ansel Adams photograph. Both are experiences of light. Indeed the light of the flashbulb and the highlights on the misty peak of El Capitan are in some respects the same thing—light. Yet the different contexts make for a different kind of experience. So, too, for spirituality. It may appear so intensely and abruptly that it obliterates everything else, or it may be reflected off or refracted through the most mundane events. As we will see, Shinto spirituality most often takes the latter form. To limit our sense of spirituality to the mystical would be to miss a major part of what it means to be Shinto. Long ago, when I was freelance proofreading to support myself in grad school, I had the chance to proofread Kasulis's Zen Action/Zen Person, a book that very much impressed me with its creative thinking and clear writing. This one looks to be similar. Yesterday the weather was clear and my wife was still on term break this week, so we took local trains through small towns and sometimes scenic countryside from Ashikaga to Oyama to Mito to visit the nationally famous Kairakuen (偕楽園 'shared pleasure park'), one of Japan's three most beautiful landscape gardens. As the name implies, the park is open to the public; and the views are indeed spectacular. The blossoms on the 3,000 plum trees for which the park is most famous may have been a few weeks past their prime, but the cherry blossoms were in full bloom (満開, compare 満タン 'full tank [of gas]) both in the park and across the broad expanse of Senba (千波 'thousand wave') Lake and Park, which the Kairakuen hillside overlooks. Here are two verbal souvenirs from the trip. Boke (pronounced BOH-KEH), and increasingly referred to in print as "Bokeh" - Japanese word meaning "fuzzy" and referring to the out-of-focus (OOF) portions of a picture. A lens is said to have "good boke" if the OOF is pleasant and does not detract from the main subject. A lens with good boke produces out of focus smooth-edged highlights and reproduces an out of focus point of light as bright in the middle and progressively getting fainter with a fuzzy edge. I'm not sure which Japanese boke this English borrowing comes from. Certainly not 木瓜 'Japanese quince, japonica', which I was excited to find in full bloom, glistening like coral on the garden path down to Senba Lake. My best guess is 惚け/呆け, whose several meanings include 'dull, dullheadedness', as in 呆け色 boke iro 'dull color', from a verb 惚け/呆け meaning 'grow senile; become mentally weak; fade, discolor'. The New Nelson kanji dictionary and Kenkyusha's New Japanese–English Intermediate Dictionary, 5th ed. (in my Canon Wordtank), are not quite in synch on this, and neither of them mentions usage in photography. In any case, both my digital photographs and my digital words here are sure to provide plenty of evidence of boke. 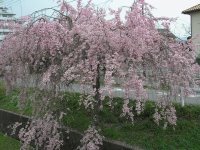 枝垂れ桜 shidare-zakura 'branch-drooping cherry tree', Prunus pendula – Among the few types of cherry trees I can now reliably recognize are the branch-drooping ones. I'm also pretty good on 枝垂れ柳 shidare-yanagi 'branch-drooping willow'. Yes, yes, I know that most people characterize both types as 'weeping', but that bit of poetic license completely bypasses the etymological briar patch that this prosaic pedant intends to poke his nose into. Leaving out the tree itself, there are two pieces to the attribute 枝垂れ: 枝 shi 'branch', whose Japanese reading is eda, as in edamame '(soy)beans on the branch (or at least in their pods)'; and 垂れ tare 'drippings, sauce, gravy, jus'. When it relates to apparel, 垂れ can also mean 'hanging, curtain, lapel, flap, skirts of a coat'. So 垂れ tare covers the range of 'drip, drop, droop, drape' (which helped inspire one English linguist to coin the term phonaesthesia). The Sino-Japanese phonetic element 支 shi of the two-part kanji 枝 itself means 'branch' in a lot of compounds, such as 支社 shisha 'branch (company) office'; 支流 shiryuu 'branch (flow), tributary'; 支族 shizoku 'branch family, tribe'. To be more specific, one can rely on the semantic element 木 ki 'tree', which often relates to wood (either woody plants or items once made of wood), to disambiguate the 枝 shi that specifically means 'tree branch'. Another contrast relies on the semantic element 肉 'meat' (= 月 in combination), which usually relates to the body, so 肢 shi indicates 'limbs of the body, arms and legs'. Finally, 支 (in the shape of 枝) shi can be completely redundant. The New Nelson gives shidareru as an alternate reading for simple 垂れる tareru (vi and vt) 'hang, droop, drop, lower, pull down; dangle; sag; drip, ooze, trickle', so it's perfectly okay to say 柳の枝が枝垂れている yanagi no eda ga shidareteiru 'the branches of the willow are (branch-)drooping'. Webster's Online Dictionary offers more—much more—on the semantics of droop in a wide range of languages. Turkish and Romanian are particularly rich. One of the most intriguing organized units involved in road building [in India] was the Italian Auxiliary Pioneer Corps. This was raised from so-called Italian 'co-operators'. During 8th Army's campaigns against the Italians in 1941 and 1942, thousands of Italians had been brought to POW camps in India as they could not be taken to Britain. At first, the Italians were something of a nuisance in a jocular sort of way. They were adept at spreading anti-Allied propaganda to the Indian population – for example on the backs of cigarette packs with one or two cigarettes left in them. British military intelligence was particularly struck by one jape. The POWs had fabricated an Italian fascist flag from old clothes. They captured a vulture which flew into their compound and tied the flag to it. The unfortunate bird was seen flapping around the surrounding villages for hours displaying the insignia of Mussolini's new Roman Empire. After the fall of the dictator and the German invasion of Italy, however, many Italian soldiers who were not committed fascists agreed to work on the Allied side. The valleys of Assam were alive with the sounds of the songs of Sorrento. The plan was to get this road finished before the monsoon of 1944. The task seemed impossible.... Some progress had been made by February 1943, but then the rains washed the embankments away... By September 1943 the whole project had ground to a halt. It had progressed only forty-two miles during the whole year. As in other sectors of the war front, racial tensions sometimes exploded when Indian, British, American, Free French and Chinese troops were in close proximity. Black American troops, often driving around in large jeeps and sporting larger wallets than even British and Indian officers, were resented by white and high-caste Indians. The black soldiers for their part complained of an Indian and white colour bar. There were occasional scuffles and fights around restaurants and hotels. Meanwhile, even in the crisis of war, many British continued to discriminate against mixed-race Eurasians, the most loyal of the empire's subjects, who had suffered the most from the Japanese and kept all the major services running even in the face of the Quit India movement. How many tales can be spun out of something as small and insignificant as a portable battery? Let's see. First, the word itself. In Japanese, 'battery' is rendered as 電池 denchi, lit. 'electricity reservoir'. The second kanji also translates 'pond' and (small) 'lake', Japanese ike. Second, where the word turns up. Denchi first lodged permanently in my mind while I was doing fieldwork in Yap, Micronesia, where (1) I was dependent on batteries for my flashlight and portable cassette-radio while living out in a village without electricity (at that time, anyway); and (2) people had managed to borrow a lot of Japanese vocabulary during three decades of Japanese rule (1914–1945), like sikoki 'airplane', and sikojo 'airport'. Some of the more amusing borrowings are now archaic, if not obsolete, in Japanese, like sarumata 'traditional Japanese men's underwear' (now used with reference to adult diapers) (Yapese didn't need to borrow a word like fundoshi 'loincloth'), chichibando 'breast band' (definitely a foreign concept in traditional Yap), and kachido 'movie' (< Japanese 活動大写真 katsudou daishashin 'moving big picture'). Finally, when I removed the Fujitsu 単１形 batteries from the stove and looked for the size designation, I first thought they were 単０形. After all, the midnight hour in Japanese is 0:00 reiji 'zero o'clock'. But the characters surrounding the 0 were making a different claim: 水銀０使用 suigin zero shiyou 'mercury zero use'. When I examined the other replacement batteries I had bought, they all made the same claim, no matter whether the brand was Maxell or Fujitsu (both made in Japan), or Konnoc (made in China). I hadn't kept up on dry-cell battery technology. Fujitsu Magazine (July 1997) explains. Also，since 1996 we have been producing ferrite cores for the deflection yokes of cathode ray tubes using raw material recovered from spent dry batteries. There are still a few other products from which mercury needs to be eliminated. POSTSCRIPT: It's good that Japan is trying to restrict mercury pollution, which caused Minamata disease. BTW, the Japanese (and general Sinitic) compound for the element mercury 水銀 suigin translates literally as 'water silver' rather than 'quick (i.e., living) silver'. The planet Mercury is 水星 suisei 'water-star', and Wednesday is 水曜日 suiyoubi 'water weekday', which matches pretty well the Romance-language names for the same day of the week: Romanian miercuri, Spanish miércoles, Portuguese mercoles, French mercredi. Sorry, I can't resist reporting a new usage in Philippine English, not "Taglish" (since 2003). "Low Bat" describing a child lacking energy - needing food or sleep. Presumably derived from abbreviations on cell phone displays - you appreciate how widespread and central to life cell phones have become. Anyone seen this elsewhere? The delegates were each sent home with a white commemorative medal, enamelled in scarlet, embossed with a crescent and a star, surrounded by twelve cherry blossoms. The Malay phrase Sehiduplah dengan Nippon – ‘Live with Nippon’ – was inscribed on the back in Arabic script. The ulama left giving formal expressions of satisfaction at Japan's commitment to protect Islam and of support for the war. The gestures were token on both sides. Before the Mufti of Pahang had left for the meeting he had met with his sultan and the Japanese governor of the state. The governor had posed the question: ‘Can the Malay States declare a holy war (jihad) against the British and her allies?’ The question was referred to the Mufti. He quickly answered: ‘Yes, provided that the Japanese emperor is a Muslim.’ And there the matter rested. There was confusion and anger when the Japanese followed through their initiative by thrusting prepared texts on kathis to be included in their Friday sermons and by encouraging prayers for the emperor and the success of the war. On occasion, Japanese officers themselves invaded mosques and interrupted prayers with speeches, even ordering the worshippers to turn their prayer mats 180 degrees away from Mecca and towards Tokyo. This propaganda became more subtle over time, but it generated anxieties. In some areas attendance at the mosque for Friday prayers fell. More generally, religious values were felt to be under threat; divorce rates, gambling and opium use were dramatically on the rise. These were profane times. Like all Japan's efforts at political engineering, the most important effects of the Islamic conference were unforeseen by its initiators. It realized a long-held ambition of many clerics: the creation of a more unified voice for Islam, outside of the control of the rulers and their courts. This was to have far reaching implications for politics of religious reform in Malaya after the war. The real significance of pan-Asianism lay not in what it achieved for the Japanese Empire but in what it allowed others to achieve for themselves. Here's a history course that really gives you something to chew on. Konrad Lawson of Muninn is too good a fieldworker to be a historian. Here are a few snippets of his account of a conversation with a Punjabi Sikh convenience store owner in Madison, Wisconsin, where he attended a conference on political trauma. I didn’t agree with much of what my new friend had to say but the conversation, which involved much more than what I have reproduced here, was very educational. Even if I found many of his views objectionable, and his generalizations and dismissals problematic, I was fascinated by the interesting combination of views he entertained and a particular kind of logic which he was perfectly at ease in deploying. He was adept at applying his religious and philosophical principles to any and all situations. On the other hand, nothing seemed sacred or absolute to him, and sometimes I couldn’t help getting the impression that he was consciously mocking his own his positions even as he defended them, a highly unusual blend of articulate conviction and perpetually ironic delivery. Very educational, indeed. And entertaining. Fruitful English? Or a Dying Language?